The predecessor of the band was formed in Budapest in 1995 as The Art of Dethronement. In 2000 they released a debut EP which was distributed by Hungarian Metal Hammer. Due to changes in the line-up and style in 2001 they decided to continue under a new name as the dethroners. Their debut album is a concept work of a Hungarian drama called The Tragedy of Man, written by Imre Madách. The release is the drama's metal interpretation financed by Negative Art (http://www.negativeart.hu). The album contains instrumental, choral and string quartet parts as well as samplers. The lyrics, conversations and monologues were written mainly in English but they also contain parts written in Latin, German and French. 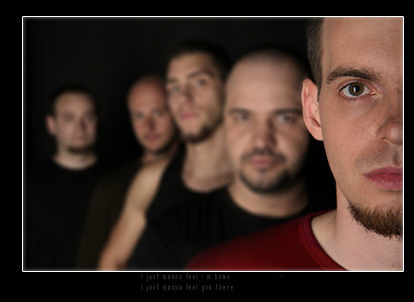 Nowadays the group is a well-known member of the Hungarian rock/metal underground scene. Although the gothic style which marked their first steps is gone, they managed to find their own style - a some kind of complex melodic metal with tempo changes and clear vocals. In the last few years they have been giving concerts in clubs and festivals, they played their major gigs as guests of Dead Soul Tribe, Paradise Lost, Anathema, Orphaned Land and opened evening for Nevermore, Soilwork and Therion. Their second album released in 2008 - titled Overdriven Silence - is a modern metal release with catchy riffs and vocal themes but also contains subtle parts played on acoustic and string instruments. The songs are performed solely in English. The album is planned to be released internationally in order to reach audiences all around the world. If you want to be a part of it, contact us.